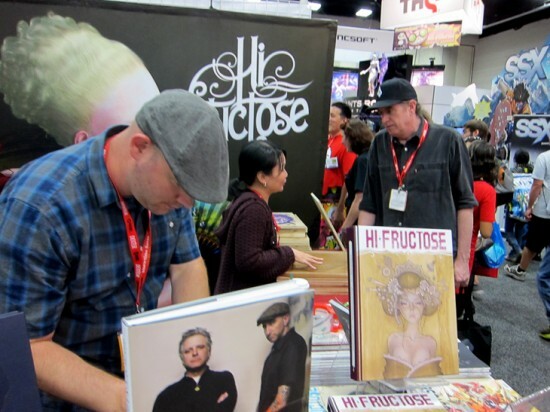 By Friday, Comic-Con was getting packed, and some sort of Warner Brothers situation was hijacking traffic at the far end of the hall. 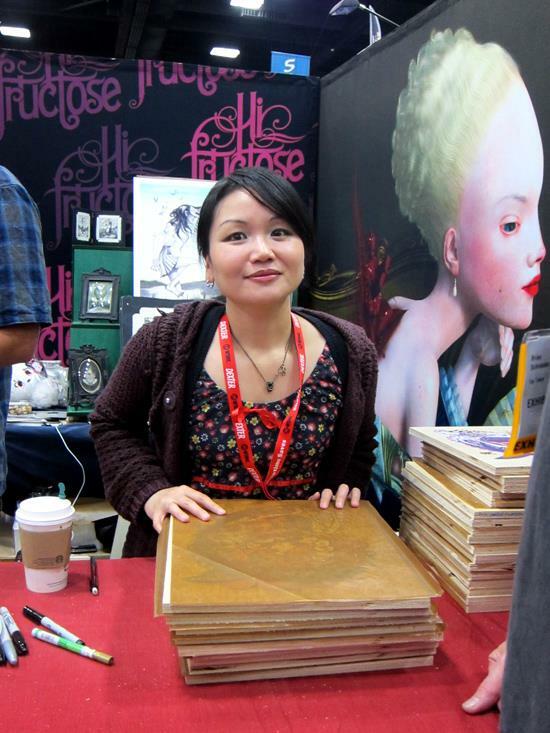 I had only a moment to wave hello and snap this photo of Junko Mizuno during her signing at the Hi-Fructose booth. 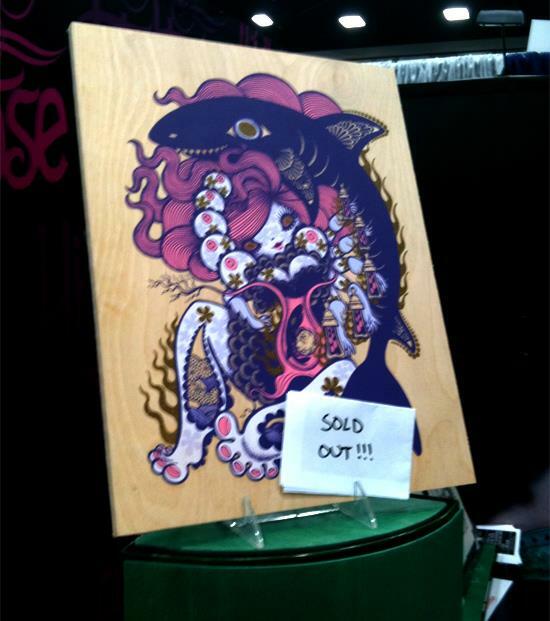 On Saturday, I swung by the booth and saw that her awesome wood print had sold out. Of course it did. It really looked beautiful. 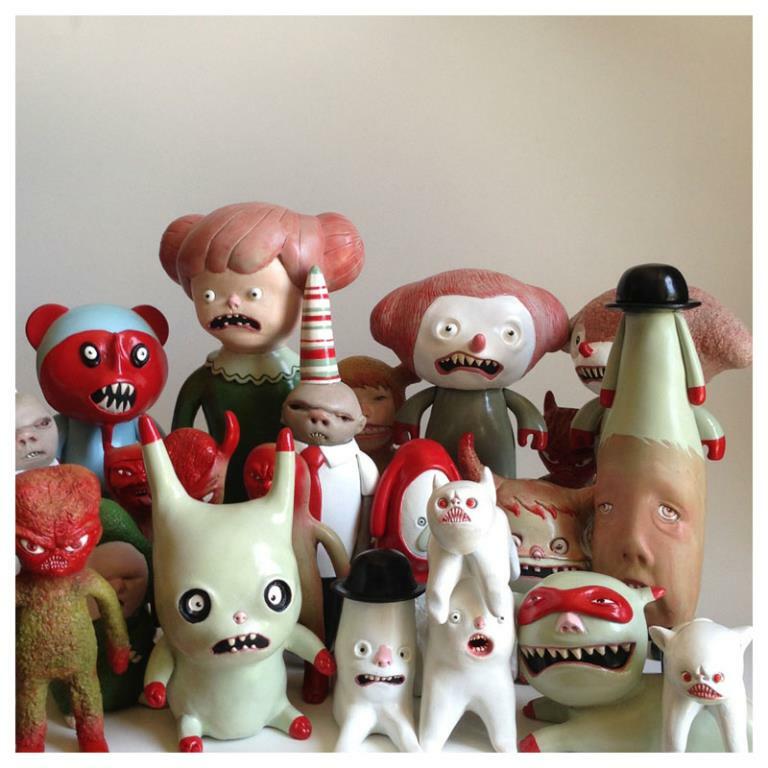 Catch up with you soon in SF, Junko!